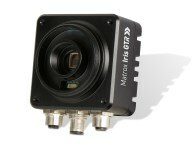 The Matrox® Iris GTR is a family of compact industrial smart cameras. When ordered with the optional Design Assistant software, it becomes a powerful productive solution for automated inspection and robot guidance. Or, the camera is available with the 64-bit Microsoft Windows or Linux operating system, ready for your own custom software app. This camera model has a VGA (640 x 480 pixel) resolution color sensor. The dual-core Celeron CPU has 2 GB of memory and 32 GB of eMMC storage. 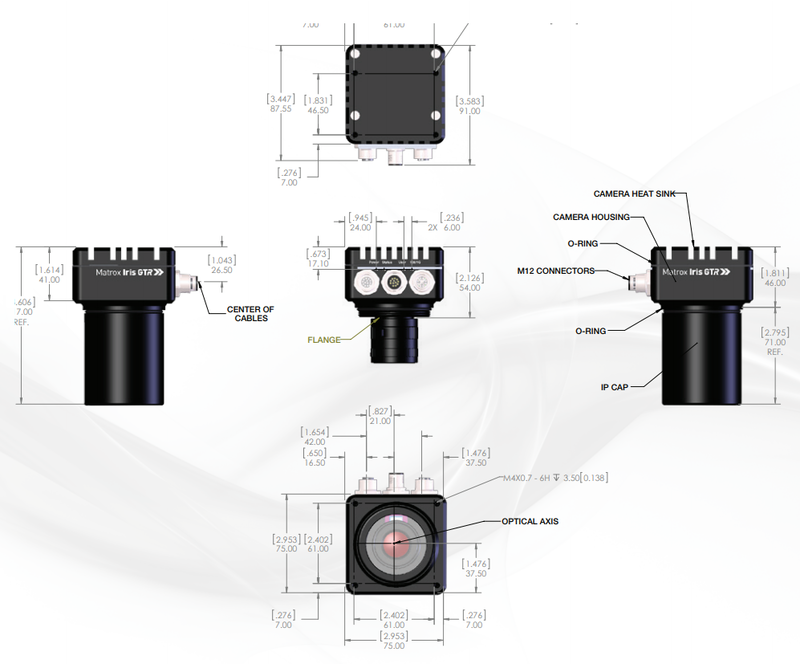 The Iris GTR hardware integrates all the features needed by typical machine vision installations. Optional Design Assistant (“DA”) software enables you to quickly configure both the inspection tasks and operator interface screens. Inspection tasks are built using an intuitive flowchart -- No programming is required. There is a large pallet of tools for analyzing, locating, measuring, reading and verifying image features. DA also lets you create web-based operator interface panels. Simply connect a VGA monitor to view your panels. Connect a touchscreen via the USB port provided. Or, view your panels from a web browser on a remote thin-client or mobile device. Machine Vision Store can help you get started with DA. Matrox offers more comprehensive resources, including both online and on-site training, as well as phone and email support. Shutter Speeds 50 µs to 4 sec. This camera is warranted by the manufacturer to be free from defects in materials and workmanship under normal use for a period of one (1) year from the date of original factory shipment. For further information, please refer to the manufacturer's website. Quantity 1 is returnable within 30 days of original shipment if original package is unopened and in new condition. Larger quantities and open packages may not be returned. Items configured with options marked NC/NR cannot be cancelled, nor returned.